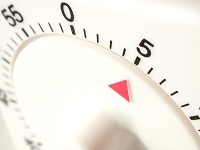 Do you have suggestions for good time management when teaching 3 kids at 3 different levels? I am currently in my 3rd year of home-schooling, with a Grade 5, a Grade 2 and a Grade 0 child to teach every day. I have noticed especially this year that the challenge for me lies not so much in the curriculum I have chosen for each of them but more in me having enough individual time with each of them in subjects like Language, Spelling and Maths (and Afrikaans). What length of time is enough per child to aim for? I have tried various options but never manage to fit in enough time each day . I don't think there is a quick answer to this question. Multi-level homeschooling is a challenge and I find that as the children progress, I have had to adapt how we homeschool. I would say that by Grade 5, your eldest child should manage to do most of her written work alone, and should only need help from you when encountering something new or a problem. The Grade 2 child probably needs the most time and help as at this level children are still mastering the 3R's (Reading, wRiting and aRithmetic) and these are important skills that need to be supervised. I would be more relaxed with the child in Grade 0 and draw that child in to share in any stories or other interesting topics that your Grade 2 child is doing. When that child reaches Grade 1 and needs more time and attention for the 3R's, the then Grade 3 child will have to learn to work more independently. I would say that one of your aims should be to help your (older) children become independent learners, that only need you to supervise or help when there is a problem. If you need to drop some subjects for a while to focus on those that you feel are most important, then do so. In our home we go through seasons where we do optional electives and then other seasons where we need to lighten the load to cope ..and when your children are young and more demanding, that would be a good time to focus only on the essentials. If it's any encouragement, they do grow and mature and it won't always be this way. Finally, although you say you are happy with the curriculum you have chosen, some curricula provide a schedule, which CAN be a great help for parents, but if its not working for you and your children then drop it. It was probably not created with your scenario in mind! Provided there are not discipline issues and your children are trying to do their work to the best of the ability, then don't fret about how much you do or don't do. Just be diligent. Now I know I haven't answered the question about how much time - but I can't. As the mom you just hover like a butterfly and move from flower to flower as your children need you! Wow, such great advice, Shirley! 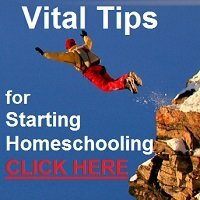 I currently homeschool for grades 4, 3, 2 and K, and I have a 2-year-old and a 7-month-old. My oldest has become very independent in her work, which is so much easier. The next 2 need a little more oversight, but can usually finish a page of writing or math problems independently once some instruction has been given. Our school routine is: When I go to lay my 2-year-old for her nap, it is "reading time" for the others. My oldest reads independently. The others are to try to read at least a few words on each page as they mostly look through a book at this time. My goal is to help one child per day with their reading skills. This usually happens at a later time. It is amazing how even just this little bit of independent daily practice improves their reading skills! When I return, everyone does handwriting. We do school on our laminate living room floor - no worries about spilling the pencil can, easier to share crayons, easier to help everyone, and the baby is happy to play and watch nearby, or I can nurse him comfortably on the couch while still overseeing their work. They all have a grade-appropriate handwriting worksheet to do (Shirley has some excellent preschool ones for free on here, and A Reason for Handwriting is great!). My oldest does a page in her Spellwell book. Then it is time for the main subject of the day. For math, everyone has Total Math books (these start at Preschool level). For writing, we have Starfall Journals and Scholastic's Writing Practice. I just take turns getting each one started, and help each one as needed. I have taught them to let me know when they are done or need help, and then wait their turn. They are always happy to doodle in the margins while waiting their turn, and they often do their most interesting artwork at these times! Social Studies, Science or special topic days are my favorite. I often print grade-appropriate worksheets (maps, themed activities, etc.) from enchantedlearning.com or some other website. We watch a video together, or I read a book and every child takes turns reading few words from it, or I find some fun online games or activities to do, and then we do our fun worksheets together. My brilliant 4-year-old kindergartener probably gets the least focused instruction, but she has absorbed so much just by coloring nearby or doodling in her schoolbooks while she waits her turn for my attention, she has learned to read faster than any of the others so far! I have a bunch of free preschool ABC printables that are in a binder for her and which she can access any time (she calls it her "folder"), as well as her own Kindergarten math book. At times when I've had to school with all the children awake, I've employed various entertainment tactics, such as coloring, playdough, starfall.com or their own "school" - leftover workbooks or free printables from the internet. 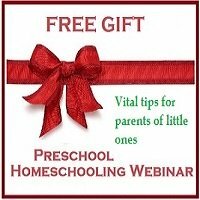 The little ones usually love to feel involved and beg, "I wanna do homeschooling!"